Remember when getting there was half the fun? Me neither. Business travel can be extremely tedious, and very annoying. But with the right tech, it becomes a lot less painful. Here are a few of my favourite things for making a trip more hassle-free. 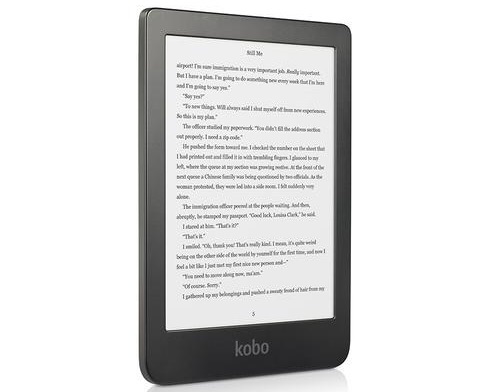 Why a separate e-book reader? Simple – because e-ink is much easier on the eyes than a computer or tablet screen, and an e-reader’s battery lasts for weeks, not hours. I carry my Kobo Clara HD (which weighs almost nothing – only 166 grams), loaded with a bunch of library books and the odd business document as required, along with my laptop. It holds up to 6000 books, has 11 fonts and over 40 font styles, and supports 14 file formats (but not Kindle’s, in case you were wondering). The front light lets you read anytime. In these uncertain times, it pays to be a bit paranoid about your data. 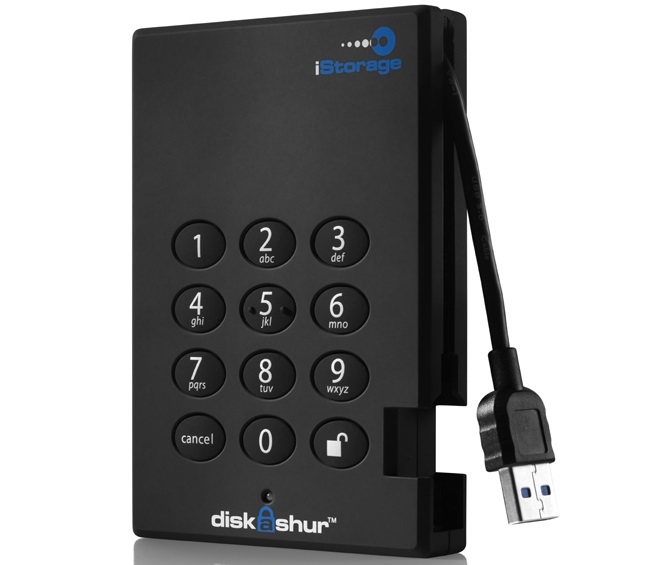 The iStorage diskAshur is a compact external hard drive that is full-disk hardware encrypted (256 bit AES) and unlocked from a keypad right on the drive. You can set up individual user codes as well as the required admin code. If the code is entered incorrectly 15 times, the drive is wiped. You can also set up a self-destruct code that wipes the drive, and deletes all encryption keys and codes. The diskAshur hardware is designed to thwart tampering. It works with any device with a USB port (even embedded devices or Chromebooks), and supports USB 3.1. Have you ever had a hotel room with enough electrical sockets in the right places? I haven’t. 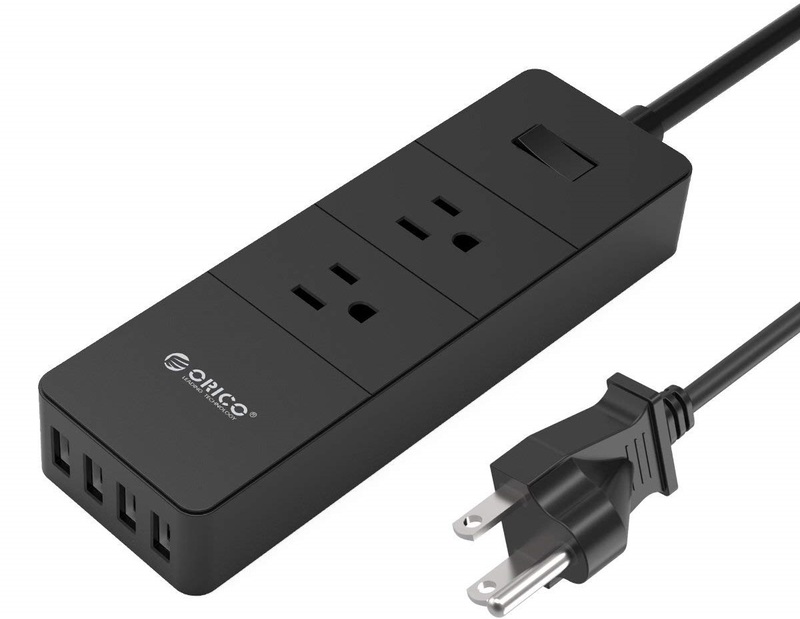 The Orico power bar has two outlets, plus four USB charging ports, and it can handle European voltages (any power bar that can’t accept 240 volt inputs will self-destruct when introduced to them – trust me on that). It’s also a surge suppressor. I also carry plug adapters for my destination, if required, so the power bar can be plugged in to the wall, and then my devices can use their regular cords with the power bar. Be sure to buy adapters that can handle grounded plugs – many can’t. 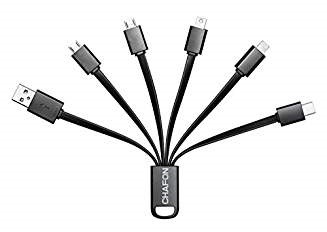 I call them hydra cables – those USB to multiple connector cables we often pick up for free at trade shows. They offer a standard USB connector, plus a mix of micro USB, mini USB, Lightning (for iPhone or iPad), and USB-C connectors in one handy unit. Rather than carrying half a dozen cables, tuck one of these into your bag. If you plan to charge your phone through one of them at a public charging point, consider picking up a charge-only version (it lacks the data connection pins) to ensure nothing nasty sneaks onto your device while it’s juicing up. 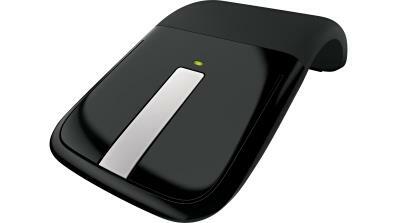 The Microsoft Arc Mouse has several advantages, besides being kind of cute. It packs completely flat; you turn it on by bending it into an arc, and turn it off by splatting it flat again (very therapeutic after a tough day). It connects via Bluetooth – no wires or dongles required. And the newest model has a full scroll plane to allow both vertical and horizontal scrolling.